It’s a good thing it’s pouring with rain today as I have every excuse to stay indoors, write, bake bread and plan this week’s garden tasks. I don’t know about my fellow poets but I’m all for a bit of quiet reflective time after the excitement of the Forward Prizes on Tuesday and then Free Verse the Poetry Book Fair yesterday. 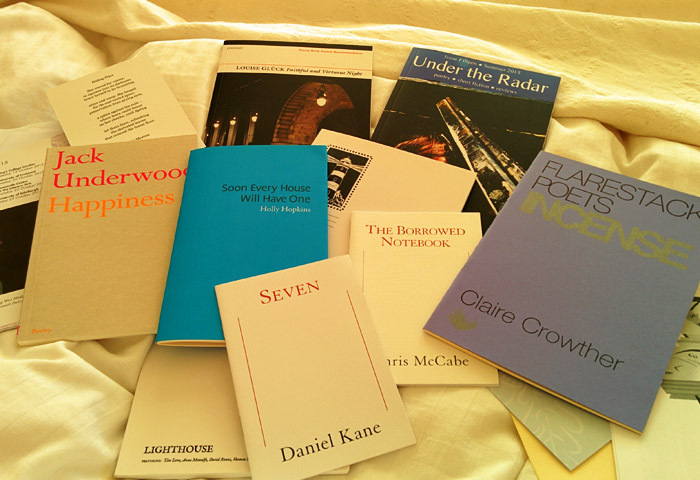 It was my first visit to the Forward Prize readings, at the suggestion of Sarah Barnsley who was cockahoop when Abigail Parry got shortlisted for Best First Collection. They are friends and colleagues at Goldsmith’s, and Abi read with the Telltale poets and also contributed a fine poem to our TRUTHS anthology earlier in the year. Needless to say we cheered her on, and although she missed out on the prize (awarded to Phoebe Power for Shrines of Upper Austria (Carcanet) Abigail gave a confident and fluid reading from her collection Jinx (Bloodaxe). Interestingly this prize is sponsored by the Felix Dennis Trust. You may not know this, but Felix Dennis was an extraordinary person – a publisher, poet, philanthropist and amazing planter of trees – over a million in his lifetime, and many more still to come. When he died in 2014 he left £150 million of his fortune to carry on the planting of a 30,000 acre forest of native English trees not far from Shakespeare’s Stratford. What a guy. I really enjoyed the evening, especially hearing Tracey K Smith, Danez Smith (eventual winner of the Prize for Best Collection, and an electric performer of his work which clearly has page-appeal not just stage-appeal), Shivanee Ramlochan, Fiona Benson and Liz Berry, who won the Best Single Poem prize. A bit of schmoozing in the foyer but as usual with evening events in London you’re always on a knife-edge of anticipation as to whether you’re going to make it home without incident, Southern Rail being so unreliable. So we didn’t linger. But then I knew the Poetry Book Fair would be a more leisurely occasion for catching up with poet folk. 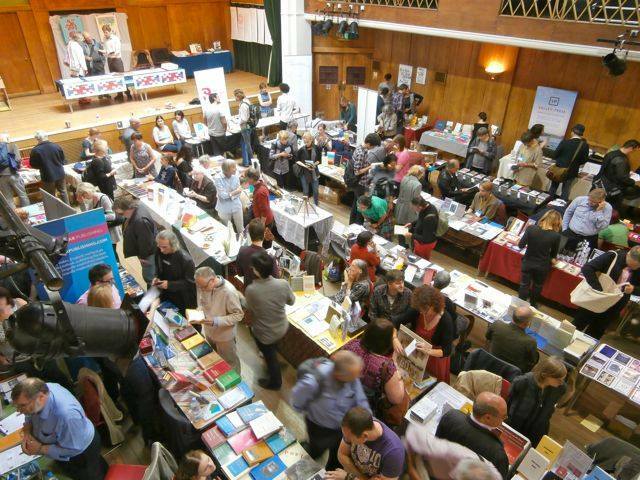 So to yesterday, and the Poetry Book Fair (now actually the Poetry Book and Magazine Fair) in its new venue, the Senate House of the University of London. 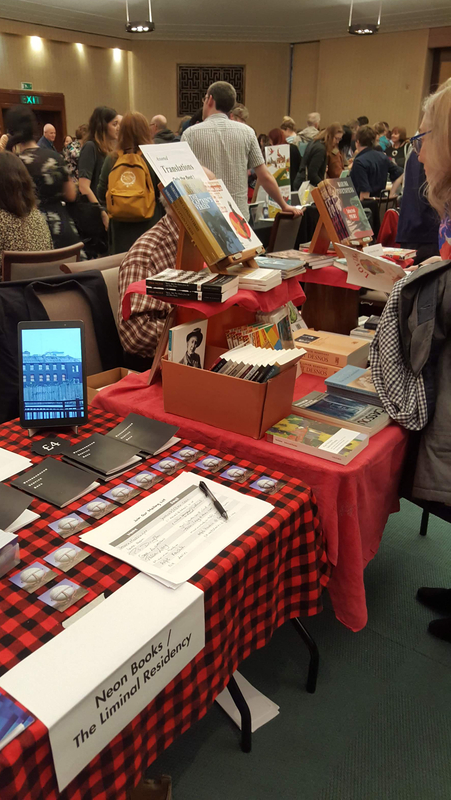 The Poetry Society have taken over the running of the event after its having been established over several years by Chrissy Williams and Joey Connolly. 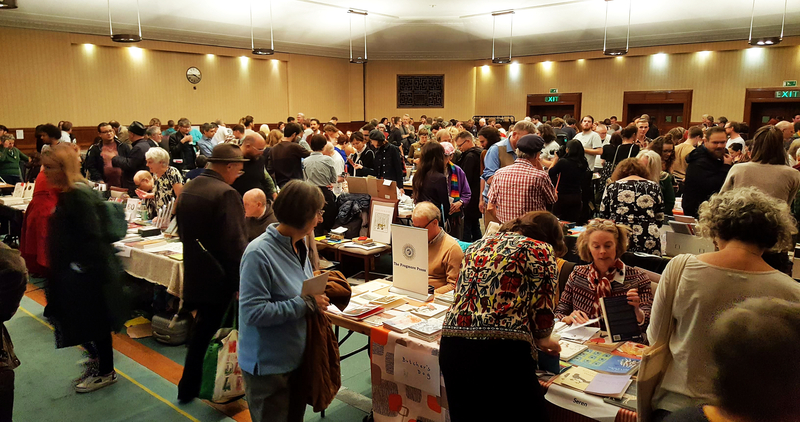 I think the organisational mind behind it this year was Julia Bird, and although I wasn’t able to get to any of the readings taking place during the day the whole thing seemed to run smoothly and attract a huge crowd. It was some sort of Heritage Open Day yesterday so the building was buzzing with visitors anyway – I wonder if a few non-poetry people came into the fair to see what it was about? I hope so – there must have been getting on for a hundred exhibitors/vendors with so much on offer. I was helping to ‘person’ the Frogmore Press half-table, giving publisher Jeremy Page a few breaks. I think I sold one book. Sorry Jeremy! In my defence I can only say that I was next to Joanne Clement of Butcher’s Dog magazine, who turned out to be sales supremo. Respect to that woman! I’m a real sucker for beautiful books, pamphlets, bookmarks or anything made of paper, frankly. Yes I know that sounds a bit superficial. But I had a budget, so couldn’t buy every lovely object. I had very nice conversations with publishers I’d not come across before, and it’s great to support them if possible, for example the lovely folk from Boatwhistle Books. Besides, buying books on spec is fun – you never know what you’re going to like, so why not take a punt? One can always pass copies on to friends if you decide it hasn’t earned a place on your bookshelf. Is it me, or is there often a slightly surreal element to these events? It’s the people-watching thing of course – so these are the people who read/write poetry! Then Jeremy told me we were in the very room where Keeley Hawes as the Home Secretary got murdered in Bodyguard. (Or did she???) Even more mysterious was the odd waft of mothballs as I steered through the hubbub of poetry-browsers. Could it have been emanating from clothing (“It’s the Poetry Book fair luv – I’ll just get my jacket out of mothballs”) or from the books themselves (“here’s that 30 year-old box of copies from the loft – let’s sell them as ‘vintage’ editions”)…?? Anyway, by 4pm someone was resorting to market-stall tactics, yelling GET YER SONNETS HERE! and when Jeremy offered me the chance to slope off I confess I did so. But not without a good haul of new reading and a warm poetry-shaped glow – just what I needed to negotiate the train journey home.